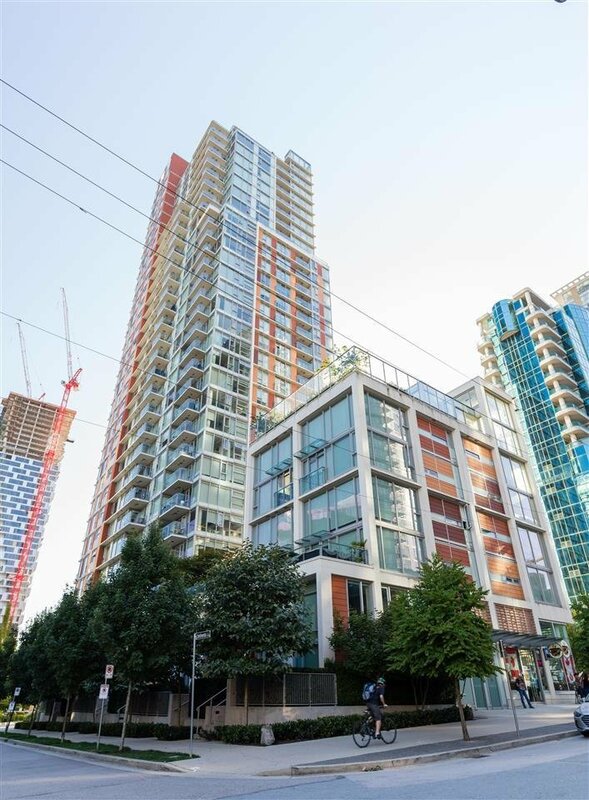 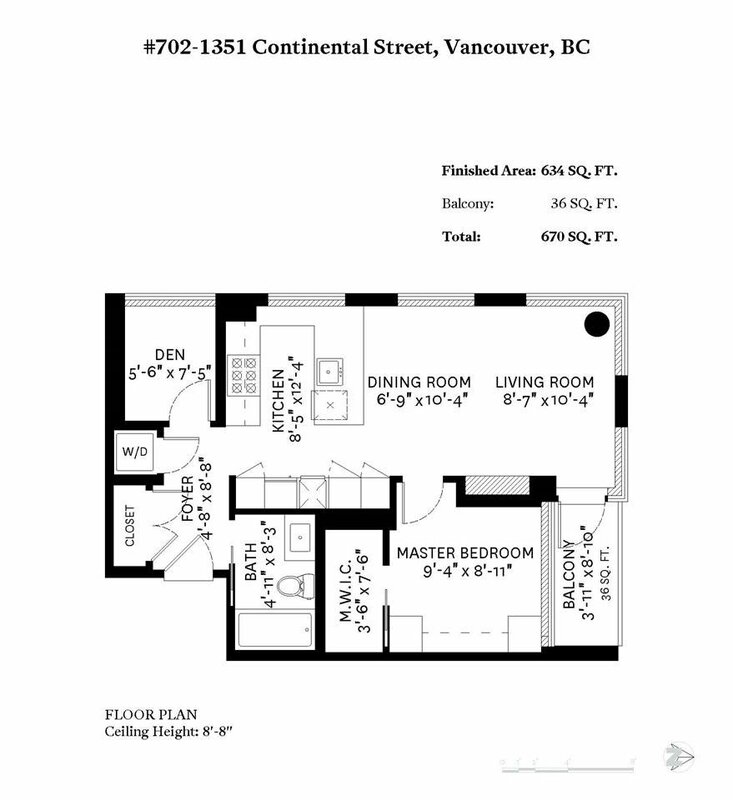 Offering the opportunity to own in DT Van's desirable "Maddox" building. 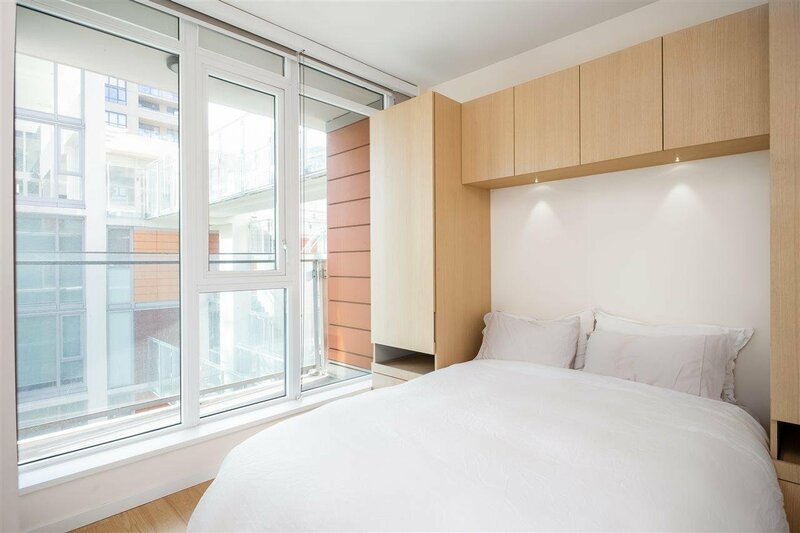 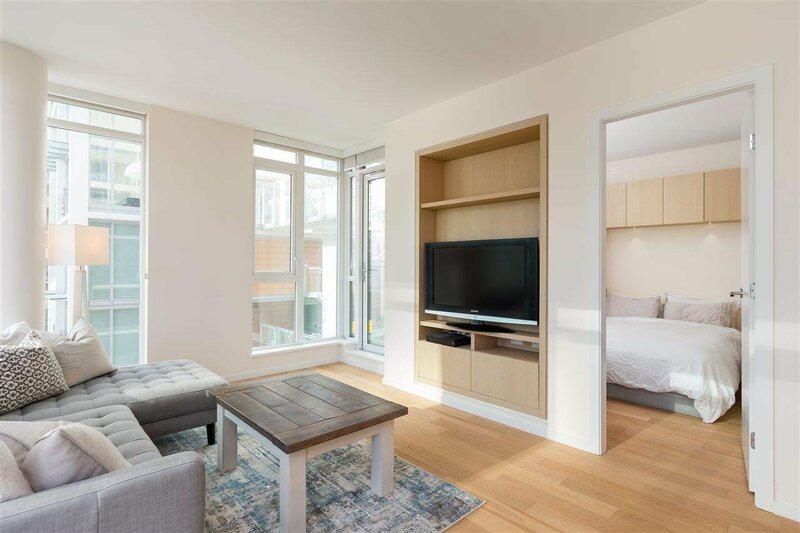 This 1bed+den corner unit home offers floor-to-ceiling windows throughout&light colour scheme to brighten up the open&functional layout. 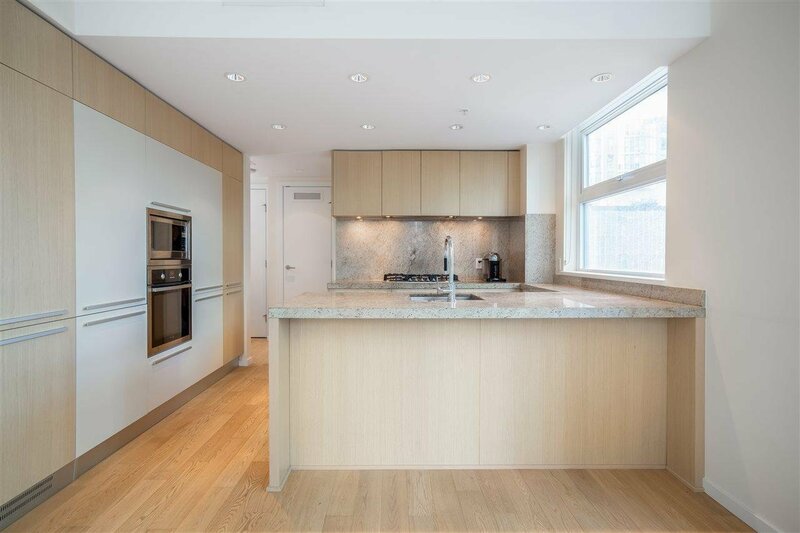 Feat a signature Cressey kitch w/ample cabinet space, gas cooktop, chic quartz counters/backsplash&large island/breakfast bar. 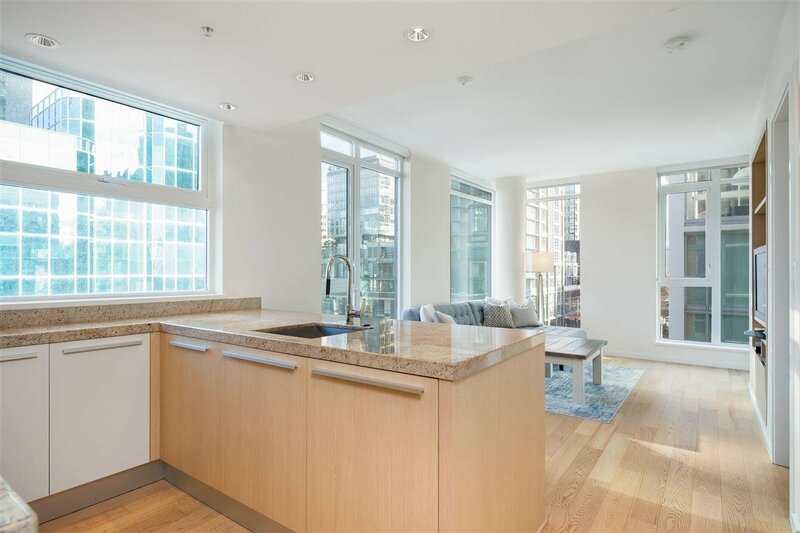 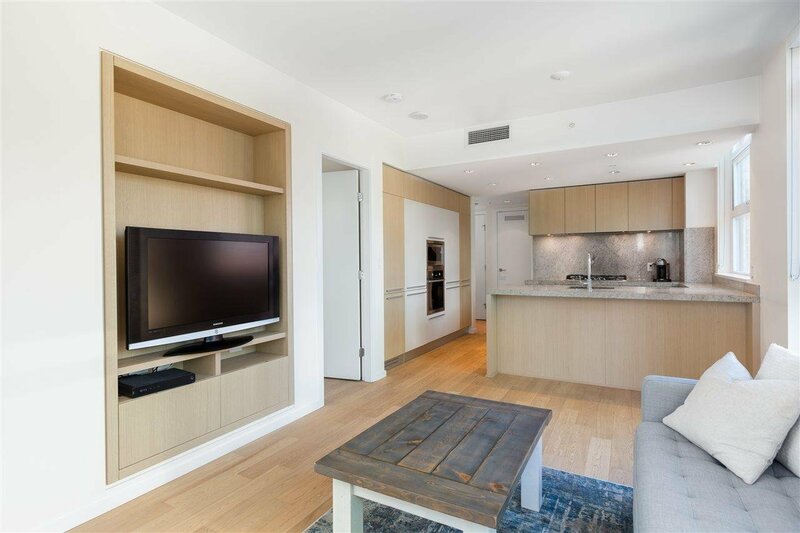 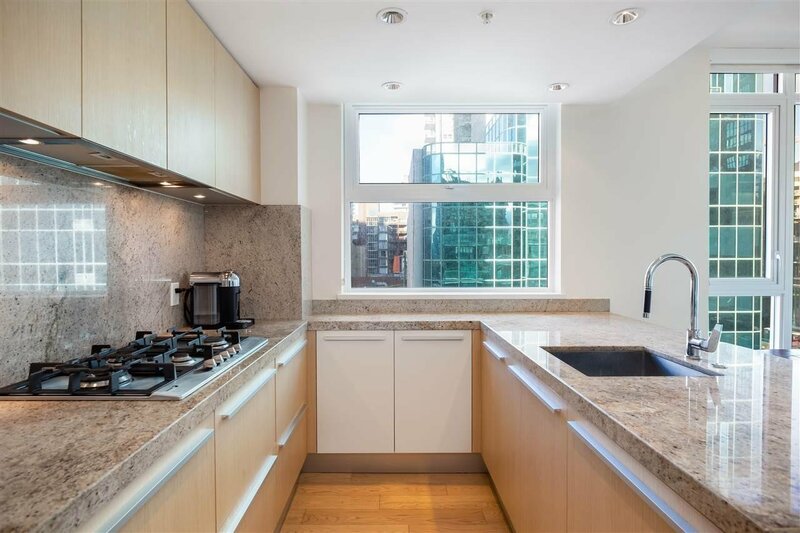 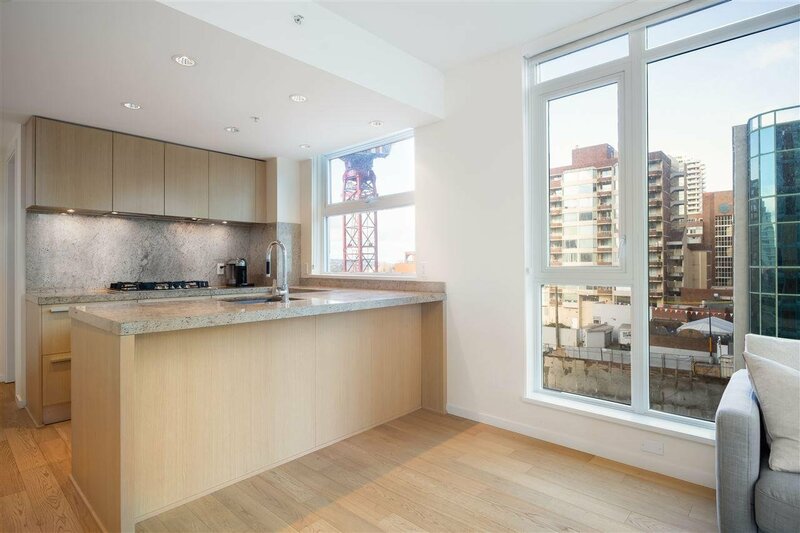 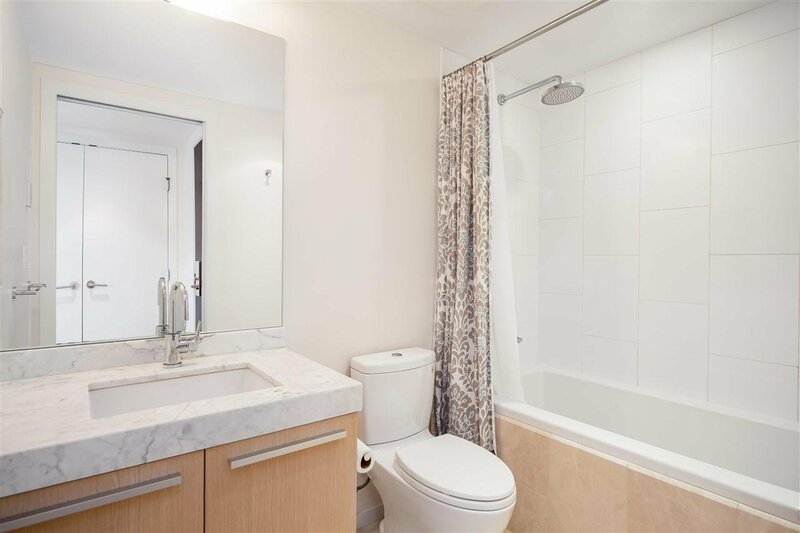 FULL A/C, custom millwork in the living room & bedroom, city views, 1 parking & 1 HUGE private locker off parking. 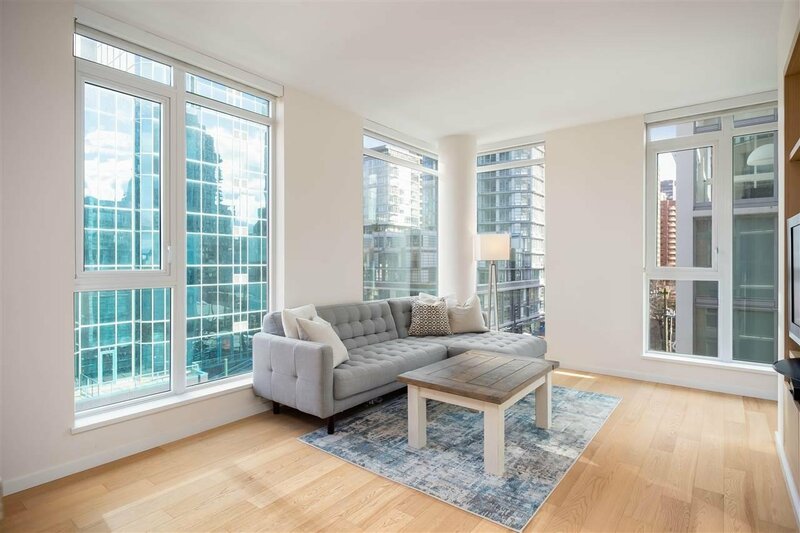 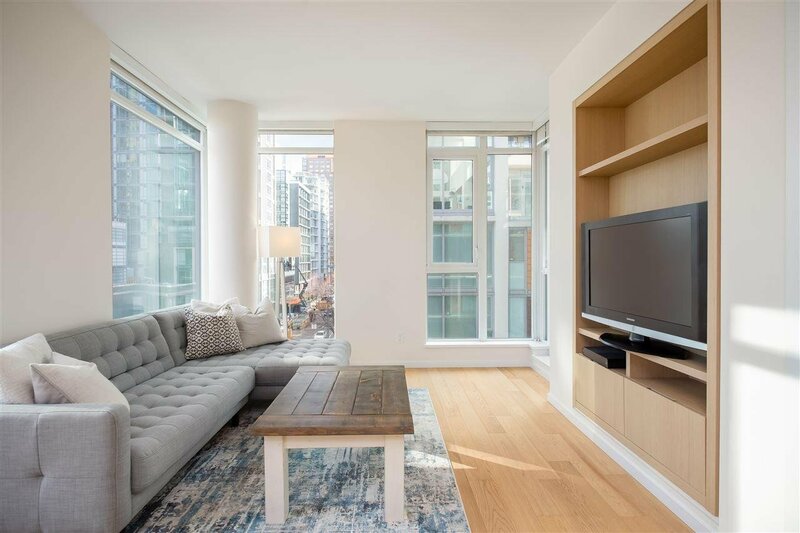 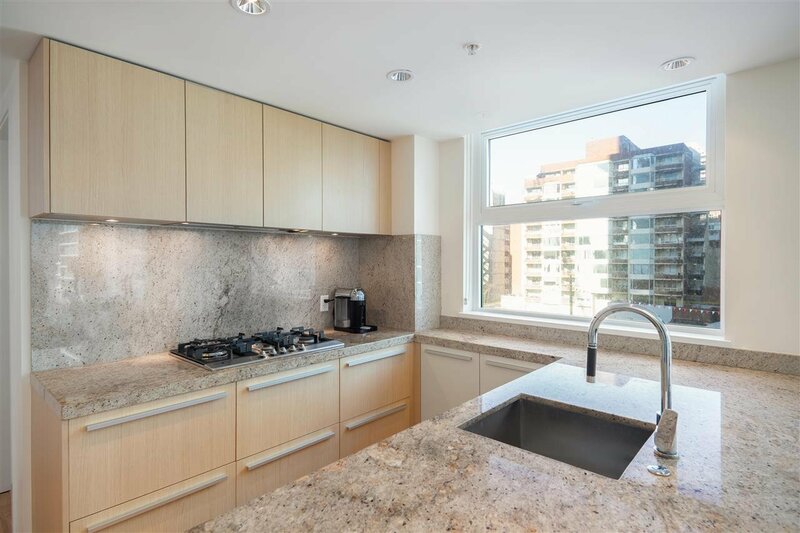 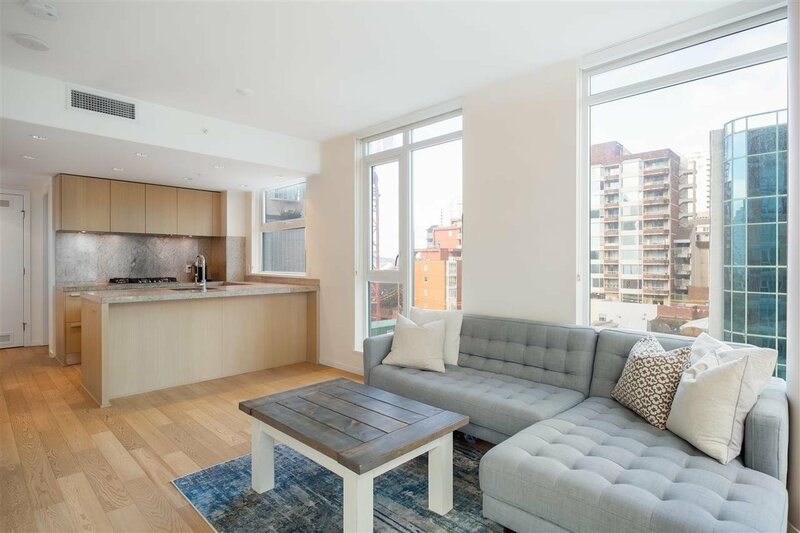 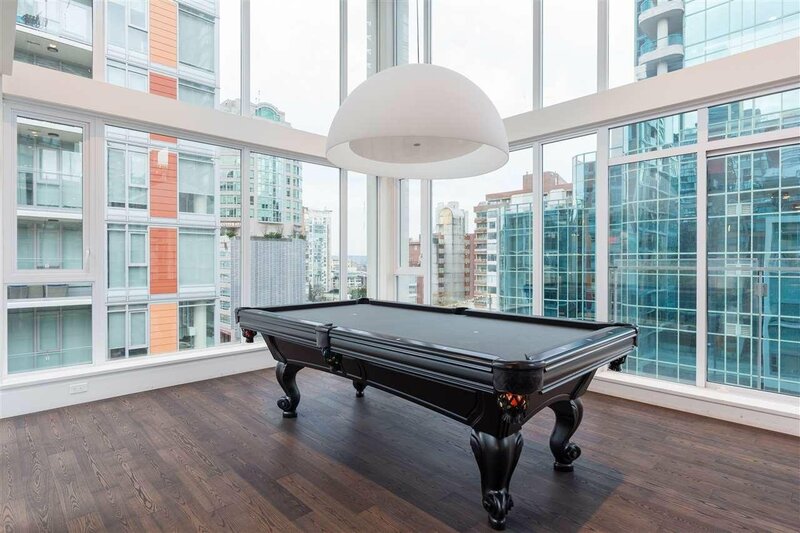 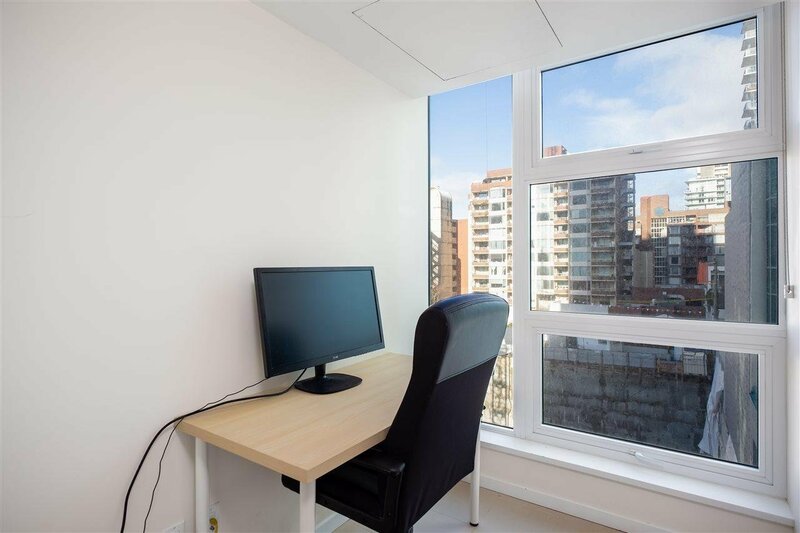 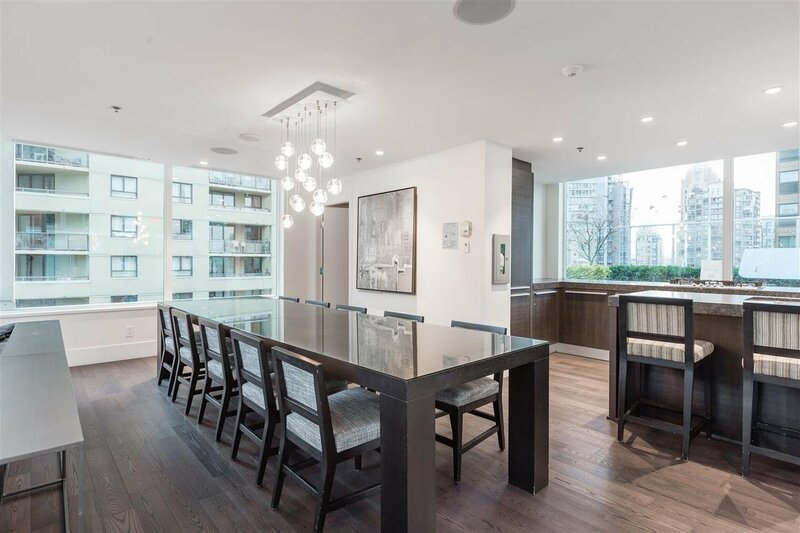 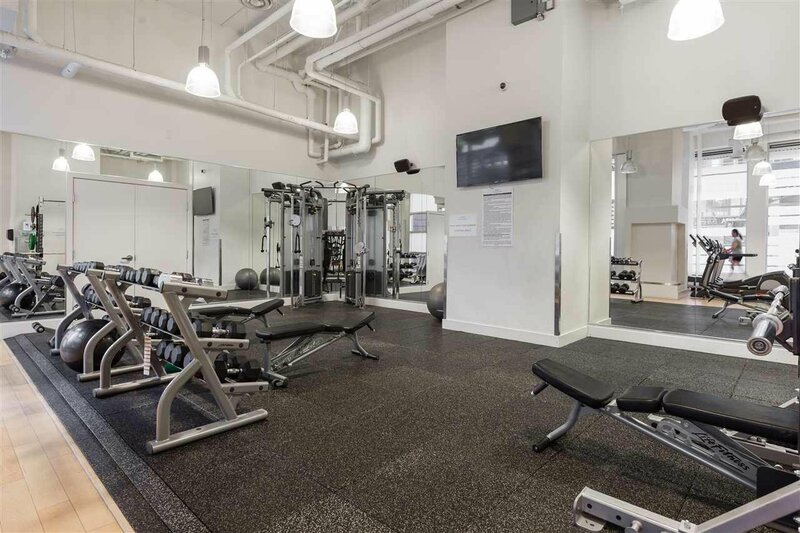 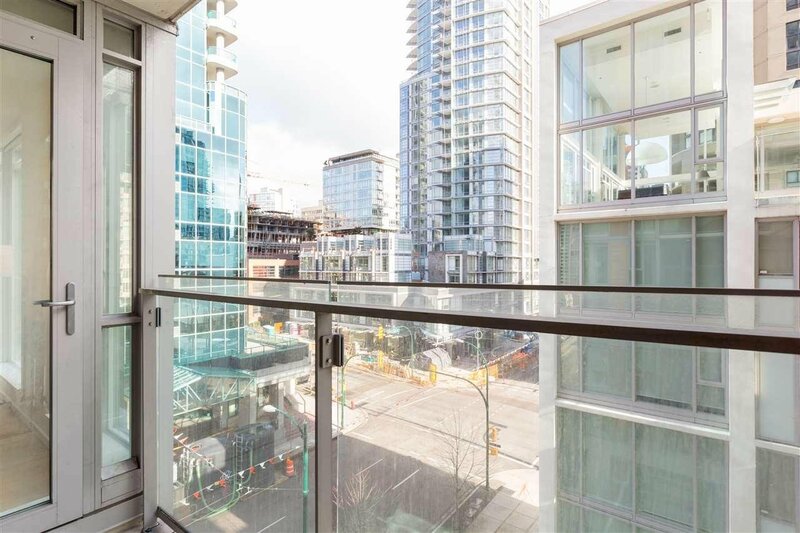 This highly sought after building offers great amenities which include a large amenities room, a rooftop deck w/outdoor playground, a steam room & a massive fitness centre. 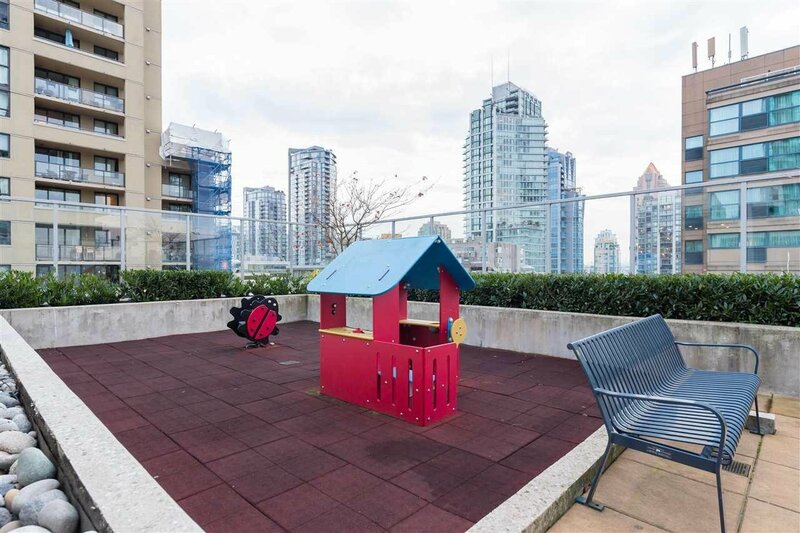 Situated in a superb location in the heart of downtown, just a few steps away from the seawall, award winning restaurants, transit, shops & more!